Aegis Power Systems manufactures power supplies for military, aviation, and telecom applications. Aegis specialises in integrated AC-DC power conversion and has been developing rugged power supply units (PSUs) for defence operations since 1995. The company’s solutions aim to optimise energy capacity to accommodate the current and future power conversion needs of clients. Products range from low to medium voltage, 200W to 20kW, and are available with a variety of rugged and environmental features. These products are suitable for use in applications such as C4ISR, radar, LiDAR, rackmount electronics, VPX and VME chassis, onboard vehicle power, aviation ground controls, data centres, missile technology, and unique weapons. Aegis maintains an ISO 9001:2015 facility with a highly skilled team of engineers, technicians and assemblers. Aegis uses the latest in power conversion technology to develop single and three phase AC power supplies. 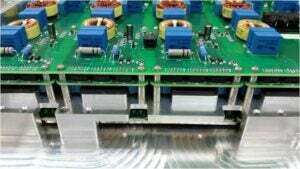 Our solutions are specially designed to reduce harmonic distortion and increase power factor. 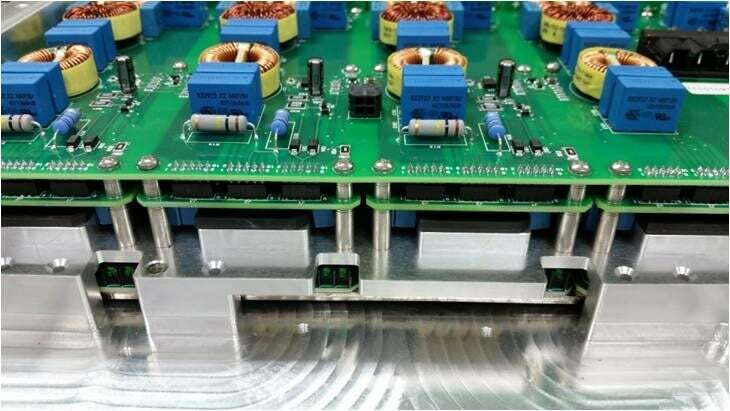 Single phase AC power supplies can be used in a variety of applications, but are especially useful for low-power applications or where a three-phase power source is not available. Three phase power supplies have a higher payload capacity, making them useful for applications such as on-board vehicle power, aircraft, and test apparatus. Aegis’s AC PSUs are available in standard 60Hz or 400Hz operating frequencies and can be configured to suit customer requirements. Aegis’s DC-DC power converters feature an integrated design to support robust equipment and high-performance demands. Our DC-DC units are specially designed with durability and reliability in mind, making them an ideal choice for military applications. The units offer inputs ranging from 12VDC up to 600VDC and with the option for single or multiple outputs with up to 20kW of power. We also offer custom DC-DC power designs and can accommodate a range of client requirements. Aegis is well-versed with the VITA standards for VPX and VME modular power cards for embedded technology. VPX power converters are recommended for new designs, though the company still supports legacy VME systems with existing and new product design. Both the VPX and VME power solutions are customisable to meet the unique demands of specific equipment. Many of Aegis’s power supplies and converters are available as commercial-off-the-shelf (COTS) products to fulfil quick turnaround times. These units may also be offered with minor modification, such as voltage output or amperage. Our COTS products are available for domestic and international shipping. Our team of engineers have a combined experience of more than 80 years in power electronics and are capable of taking the most demanding specifications and turning them into workable power solutions. The team takes into consideration any military or industry standards plus regional regulatory requirements to create a custom power supply with long-lasting durability and high-performance. Customisable features include dimensions and shape, input and output, ruggedness, and MIL-STDs.